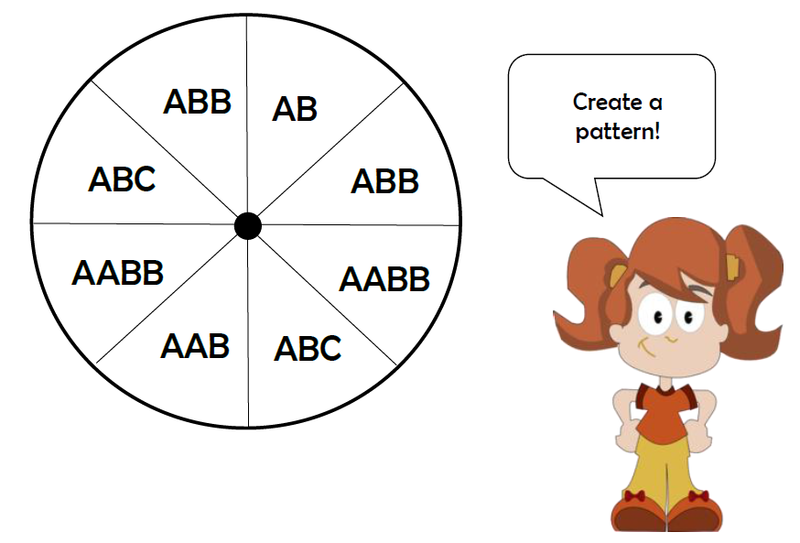 Create a Pattern Spinners! FREEBIE! October 14, 2015 October 9, 2015 Amanda B. We have finished with our sorting unit this week (look out for a post all about the different sorting centers we did in our class) and we are moving on to patterns. 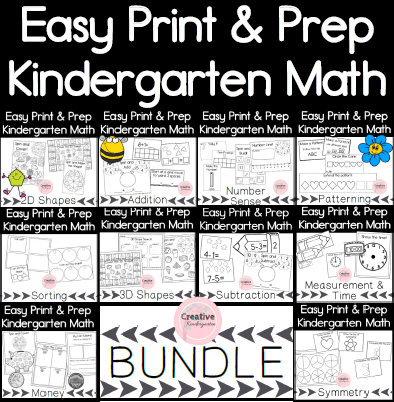 I made this really simple center that is so easy to set-up, and the kids will love! All you have to do is print out the Create a Pattern Spinners (for FREE!! ), laminate them and put them out at a table with some things that the children can use to make patterns. You can turn them into actual spinners by adding an arrow to them, but I just give the kids a pencil and paperclip, it works just as well and the children don’t mind either way! The student has to spin the paperclip and then create a pattern following whichever rule they land on!